The Jordan Spieth Family Foundation is honored to recognize the two outstanding recipients for the inaugural Jordan Spieth Golf Scholarship and Cameron McCormick Golf Scholarship. 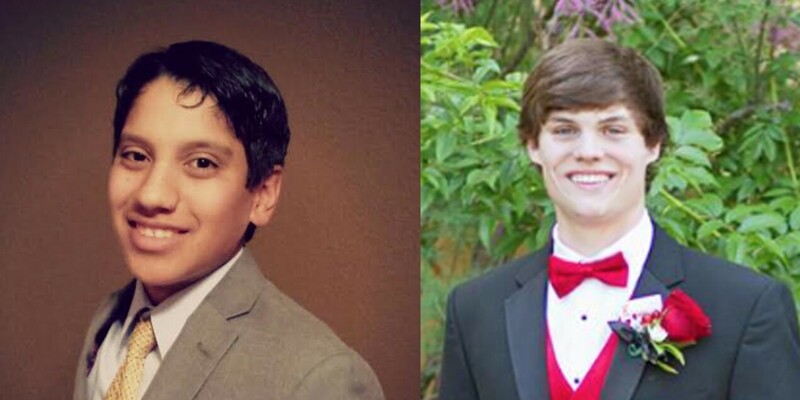 The Northern Texas PGA Junior Golf Foundation scholarship recipients were selected based upon academic performance, extracurricular activities, community involvement and financial need. Eric Valenzuela from Sachse, Texas is the recipient of the Jordan Spieth Golf Scholarship. Eric plans to attend St. Mary's University this fall to play golf and study finance and management. While attending Wylie East High School, Eric was involved in varsity golf and Fellowship of Christian Athletes. Eric hopes to one day be a financial consultant. Jared Bragdon of Murchison, Texas is the recipient of the Cameron McCormick Golf Scholarship. Jared was involved in many different organizations during his time at Brownsboro High School, including National Honor Society, Future Farmers of America, varsity golf, football, basketball, and Fellowship of Christian Athletes. He also enjoys spending his time volunteering in charity events around his community. Jared plans to attend Texas A&M to study business management. In our effort to promote Junior Golf programs that enhance the life skills of young athletes, The Jordan Spieth Family Foundation is pleased to support The Northern Texas PGA Junior Golf Foundation in their commitment to introducing, promoting and growing the game of golf to a diverse group of kids in North Texas and instilling in them the positive, character developing traits for which the game is so well known.